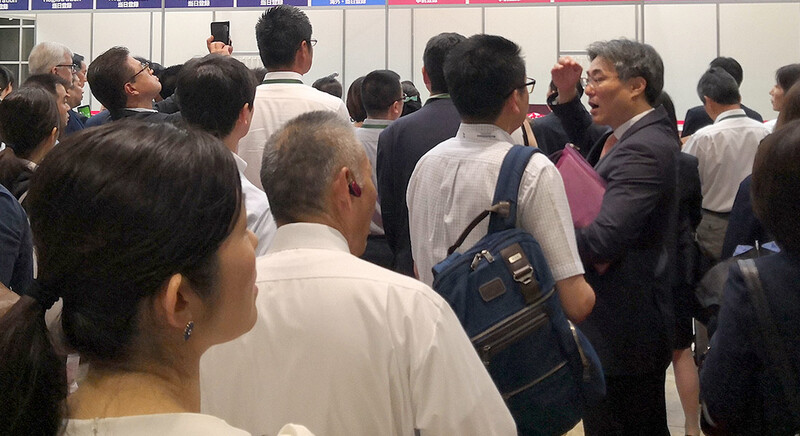 In order to maximize the effect of this show event for exhibitors, a variety of sponsorship items are provided with limited quantity. 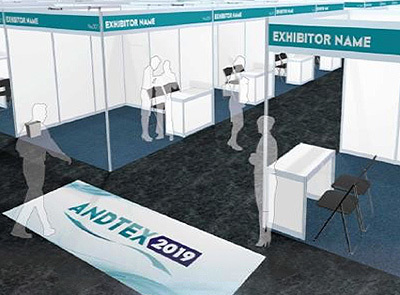 If you want to magnify your corporative image, highlight your products and presence at ANDTEX 2019, this sponsorship opportunity is something a successful businessman cannot afford to miss. 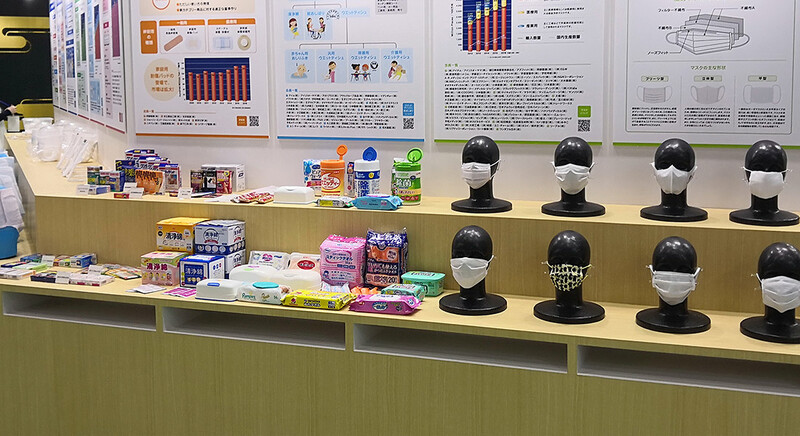 Availability of sponsorship varies from item to item. First come, first serve. 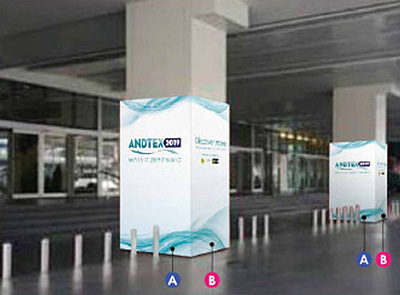 Please contact show organizer for details and seize the best to serve you. 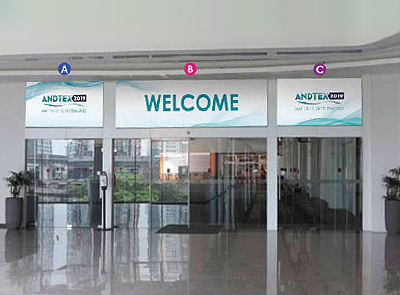 Directional signboards are set in prominent places before the main entrance of show floor or conference room. 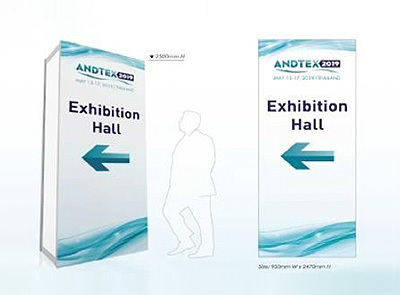 Position your company logo and booth number in signboard. 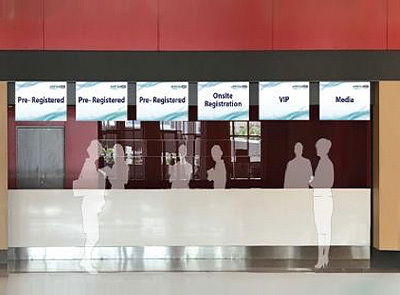 Registration area is the area that all attendees must gain access. 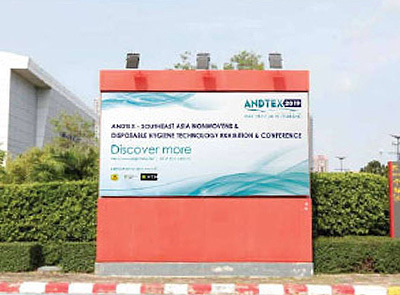 The company logo will be shown on the entrance arch middle column. 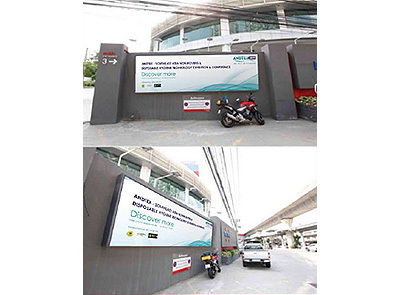 This fabulous location will attract the attention of all visitors. 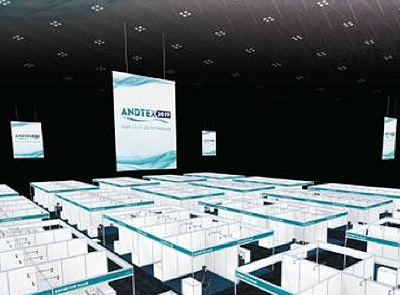 The company logo and booth number printed on the aisle carpet. 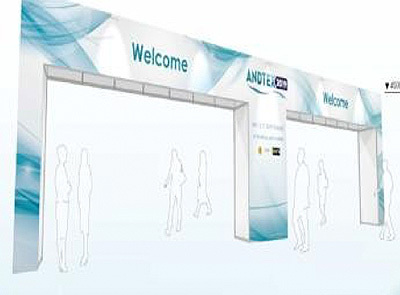 Sponsor banner is placed on the exhibition hall above exhibitor’s own booth. 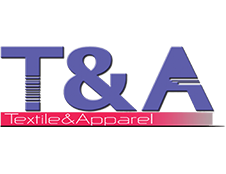 The company logo will be printed on invitation tickets which will be distributed and sent to potential visitors prior to the event. 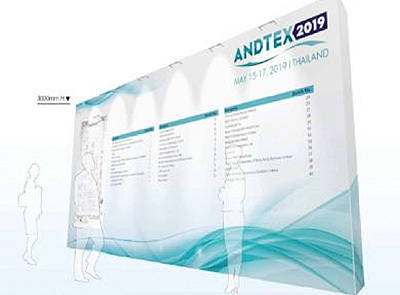 The company logo will be shown on the homepage of the ANDTEX 2019 official website from the time of order acceptance till the closing of the event. 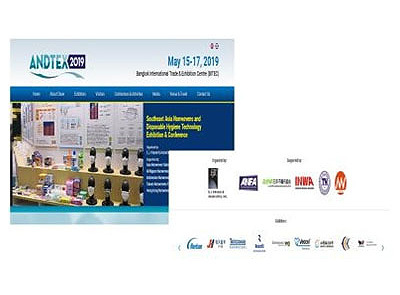 It will provide a link to your official company website. 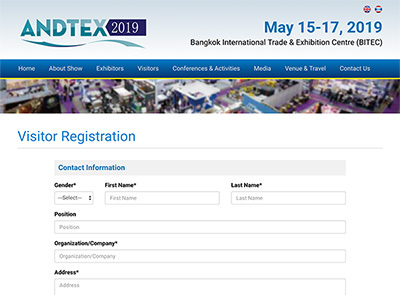 The company logo will be shown on the pre-registration page of the ANDTEX 2019 official website almost three months till the closing of the show. 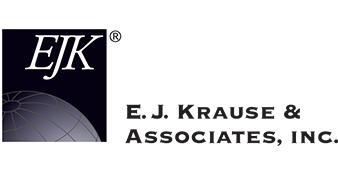 Logo will be printed on the badges that are required by all the visitors. 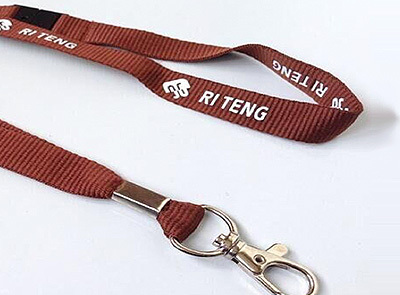 The lanyards will be distributed at exhibition and conference registration area. A full-page four color inside in the show directory. 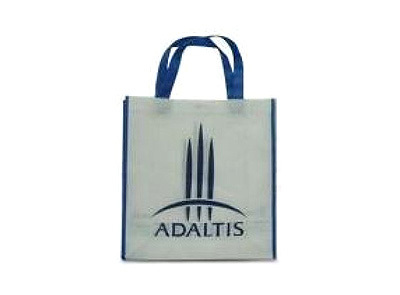 The bags will be distributed at registration area to all visitors to the exhibition and conference attendees. The items in this Sponsorship Program are subject to change. 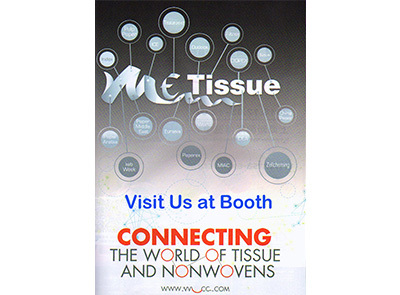 Please contact the show organizer for latest information.